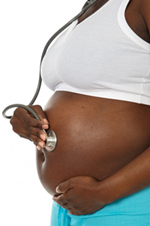 We provide full antenatal care to all our patients - we do not however personally provide home delivery. We provide the full range of immunisations and would encourage all eligible patients to attend for these when called. We will of course be happy to discuss any concerns you may have regarding any aspect of immunisation. Women within the eligible age range will be called in line with the national screening program for cervical ( neck of womb ) cancer. This is a highly successful program which has significantly cut death rates from cervical cancer. The procedure is routinely provided by highly skilled female nursing staff - if you have any questions or concerns regarding this procedure then one of the nurses would be delighted to discuss your concerns. We provide minor surgery services - this mainly involves removal of lumps and bumps, skin tags, warts etc. You may be referred to this service by any of the medical staff but not may not book direct unless previously invited to. If you have any concerns you should first of all make a routine appointment to see one of the GPs. Headed by Prof. Shahid Ali we provide higher tier diabetes services to our patients. Asthma, chronic obstructive airways disease ( chronic bronchitis & emphysema), coronary heart disease and diabetic clinics are run by our highly trained nursing staff working to locally agreed protocols. Each nurse has their own area of special interest and provide an excellent monitoring service for patients with chronic diseases requiring regular monitoring. We maintain a register of such patients and operate a call and recall system - if however you feel you may have been missed please contact us. All teenage health issues will be confidentially and sympathetically dealt with by all staff. Please feel free to make an appointment to see one of the nurses or one of the doctors to discuss any concerns you may have - all details discussed will be treated as strictly confidential - even if your whole family is registered with us we will not divulge anything to anyone without your express written consent. Full contraceptive and sexual health services are provided ranging from advice to fitting of coils. We can also refer patients who require sterilisation. Why not discuss it with Dr Braun or Dr Quereshi. You do not have to be a patient to access these services. This is a specialised breathing test previously only available in hospitals - if you require this your GP will refer you to us. Another specialised test usually only available in hospital - this helps us to obtain a better idea of your blood pressure control over a full day and hence allow us to treat your blood pressure more effectively - again you will be referred to this service by your doctor should it be required. Provided by most of our doctors as part of our minor surgery service. Again if you have any concerns please contact us to discuss them. Self care is about individuals taking responsibility for themselves and their families to stay healthy and take care of minor and long term conditions, based on their knowledge and the information available and working in collaboration with health and social care professionals where necessary. Click NHS Health A-Z to view more information about self care. Our education leads are Dr Adeela Khan, Dr Uzma Qureshi and Sister Julie Jackson. We work with Leeds and Bradford Universities to tutor and mentor medical & nursing students as well as qualified training grade doctors and nurses. You will probably have some contact with them at the practice. If this is likely you will be informed beforehand and have the opportunity to decline their presence during the consultation. We are extremely grateful to all patients that allow our students to interact with them but also totally respect that this may not be comfortable some & have procedures in place to ensure that your wishes are fully respected and adhered to. The practice has been approved by the University of Leeds for the teaching and education of medical students. In addition the practice has been recognised by the Yorkshire Deanery, a body responsible for doctor training, as a practice qualified to train doctors. The Practice will be supporting Foundation Year Doctors (FY2) at the surgery for a period of 4 months at a time. The doctor who is fully qualified has worked in hospital and will be joining us to gain an insight into the workings of General Practice. These doctors work closely with our own GP's throughout their time with us. The doctor may sit in on consultations and will gradually see patients on their own under supervision. Some consultations my be videoed for training purposes only, consent will be requested in these instances. These consultations are a key part of the training new GP's but you may also request to see your own GP alone. You may be offered an appointment to see the foundation year doctor and most patients do not find this a problem, however, if for any reason you would prefer not to see them please make the receptionist aware when you make an appointment. Our current Foundation Year Doctor: Dr Rachel Peacock. These are fully qualified doctors who have decided that they want to become GPs. They are in their first two years of speciality training. Previously known as GP Registrars, these doctors are in their final year of training to become GPs. They usually spend 12 months with the practice. As part of their training, the Registrars and FY2 need to video some of their consultations. If they are videoing on a particular day you will be asked to sign a form to agree to this. You do not have to sign this form and your consultation will not be videoed. This will not affect your consultation in any way. Any videoed consultations will be strictly confidential and used for training purposes only. Medical Students attend the practice as part of their training. We train students from years 1 through to 4 of their 5 year training and we are also examiners. We hope that you will co-operate with us and help the students to learn about general practice. However, you will be informed of their presence in advance, and if you do not want them to be present at a consultation, your wishes will be respected. This will not affect your treatment in anyway. Click on the link below to access enable2 Translation and Interpreting service for Bradford & Airedale. If you require an interpretor at your appointment please inform the receptionist so that we organise an interpretor for your appointment day and time.